An activist lawyer, Femi Falana, has said that former President, Goodluck Jonathan was presiding over the country when $12.7 billion worth of crude oil was stolen from Nigeria. Speaking at the 40th-anniversary celebration of the Petroleum and Natural Gas Senior Staff Association of Nigeria, PENGASSAN, in Abuja, on Thursday, the Human right lawyer said 60.2 million barrels of oil was stolen from Nigeria. 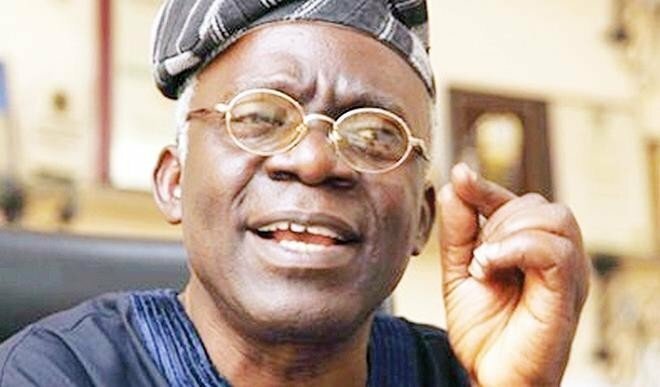 Falana stated that the crude oil was stolen and discharged at a port in Philadelphia, US, adding that the Nigerian Maritime Administration and Safety Agency, NIMASA, has records of the theft. The Senior Advocate consequently urged PENGASSAN to prevail on the government to trace the funds. He said, “The study revealed that the value of the money from oil stolen from Nigeria is $12.7 billion. The oil was discharged in one port.